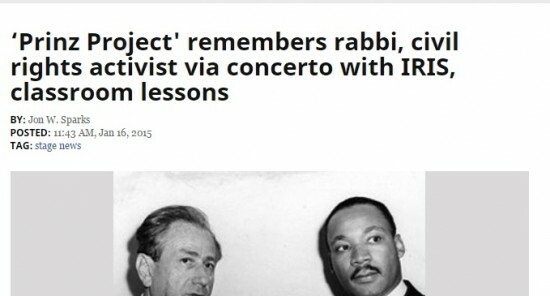 Jon Sparks of Commercial Appeal explores the role of Joachim Prinz in the Holocaust and in the civil rights movement along with the story behind the concerto I Will Not Remain Silent in this article. 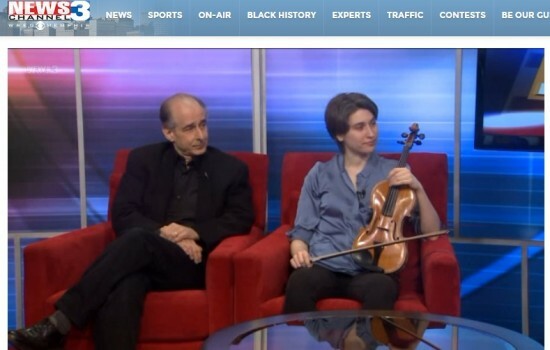 Sharon Roffman and Bruce Adolphe were interviewed by Memphis News Channel 3 about I Will Not Remain Silent and the role of Rabbi Joachim Prinz in the Holocaust and the civil rights movement. For the entire interview and a preview of the concerto, please click here. The Memphis Flyer in their article on January 22, 2015 explains both the history of Joachim Prinz along with the musical pedigree and contribution of Bruce Adolphe and Sharon Roffman in I Will Not Remain Silent. On January 25, 2015, Jonathan Sparks of the Commercial Appeal wrote “Sharon Roffman’s violin spoke volumes” in I Will Not Remain Silent. 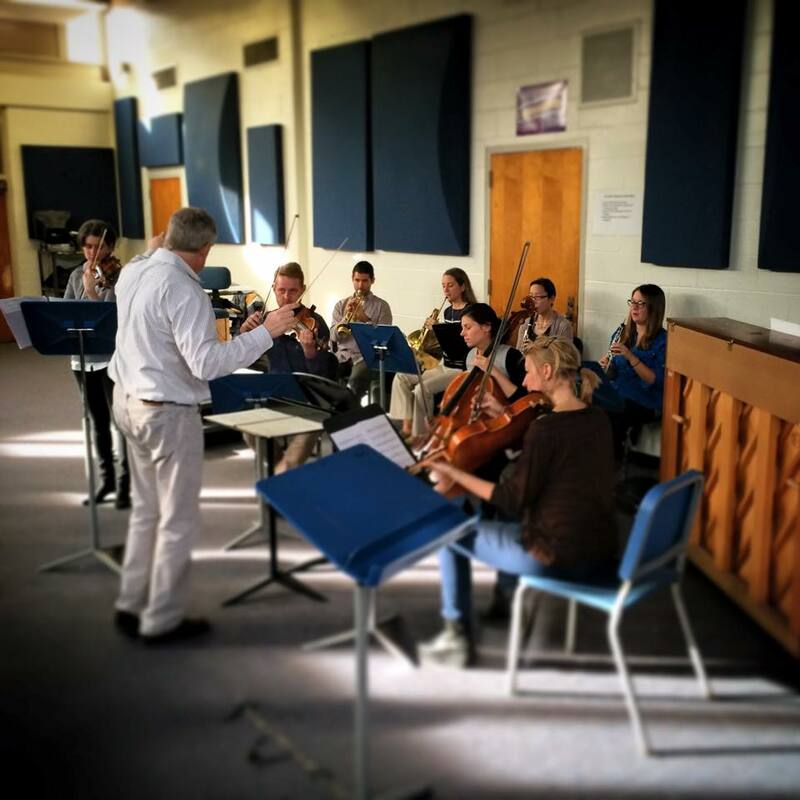 After explaining the commissioning of the piece by IRIS, as part of the Prinz Project, along with providing a brief description of humanitarian Rabbi Joachim Prinz, Mr. Sparks described the concerto as “thoughtful, full of emotion, and certainly with beautiful passages”. For more information, you can find the full review here. This is a video of the Overton High School and Soulsville Charter School students performing “We Shall Overcome” with IRIS orchestra musicians and maestro Michael Stern. This video was taken just before the performance of I Will Not Remain Silent at Germantown Performing Arts Center in Germantown, Tennessee on January 25, 2015. The IRIS orchestra musicians, Sharon Roffman and Michael Stern, January 21, 2015. 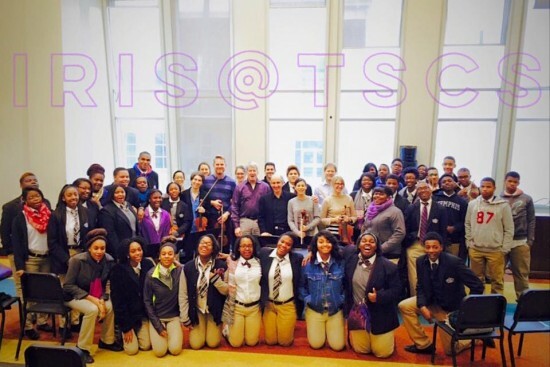 The students from Soulsville Charter School after a workshop on January 22, 2015 with Sharon Roffman, Bruce Adolphe, Michael Stern, and IRIS orchestra musicians.